I had the opportunity to take photos of the Stateliner Youth Baseball Association (SYBA) 1st Annual All-Star Classic baseball game. The photos above are from the Major game which was one of three played on Saturday. A gallery of photos from the rest of the game can be found here. I treated my brother to a minor league baseball game as a belated birthday present. 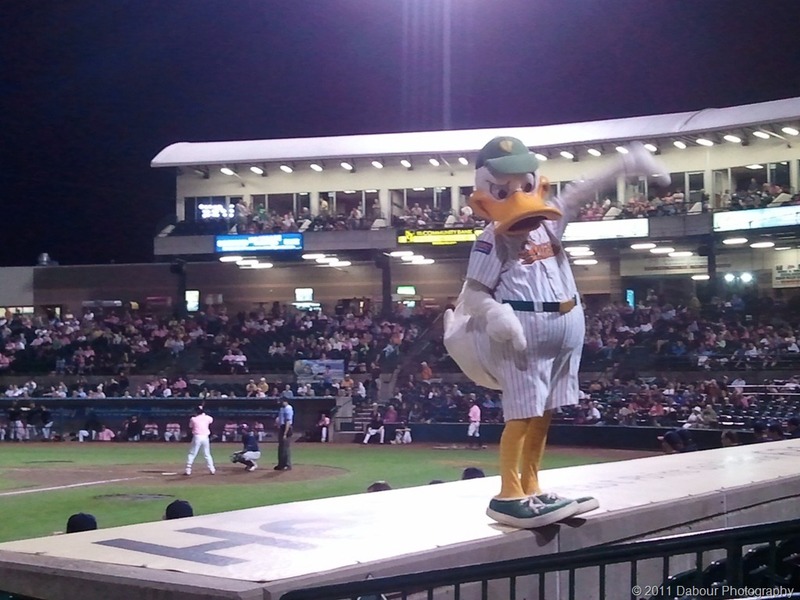 We saw the LI Ducks take on the Somerset Patriots. Word is it that the Patriots home field is flooded out. 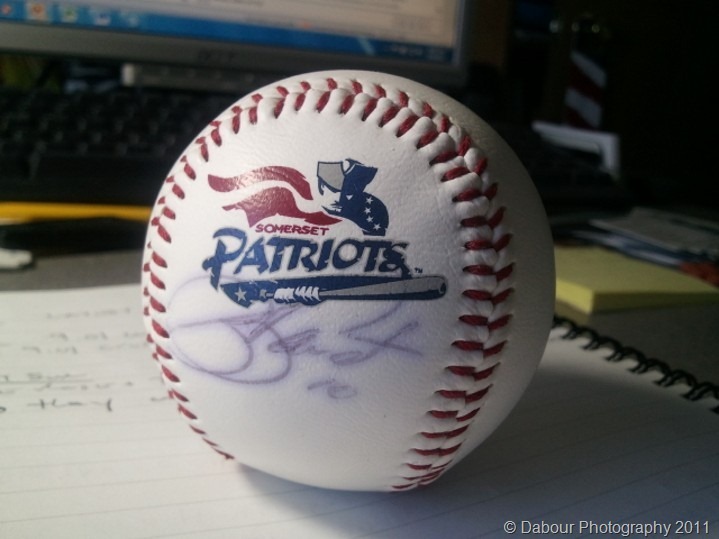 The Patriots managed to win as they never looked behind with a 7-2 win over the Ducks. I love all the in between innings things minor league stadiums do to keep the crowd engaged. 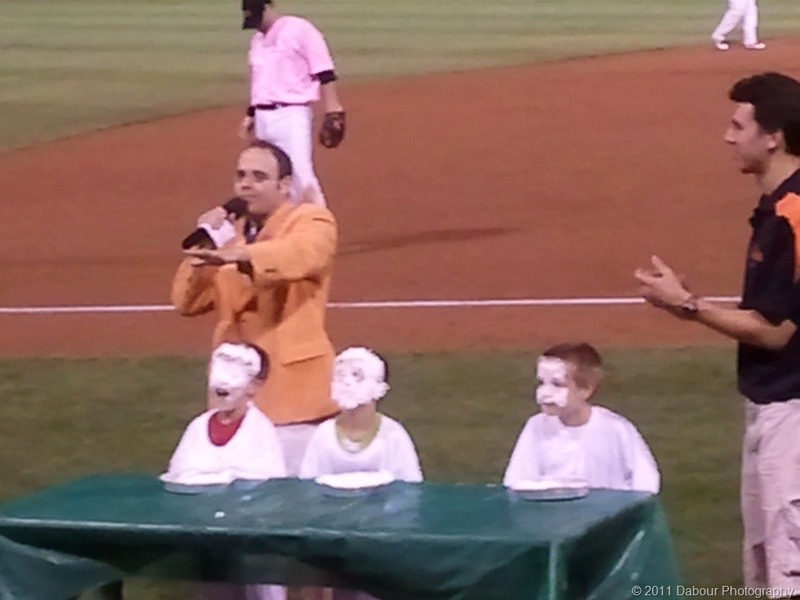 One of my favorite is the pie eating contest. I’m sure the kids didn’t mind too much and got a nice sugar rush! View from a luxury box at the LI Ducks minor league baseball game. Perfect evening for baseball – not too warm and not too cool. 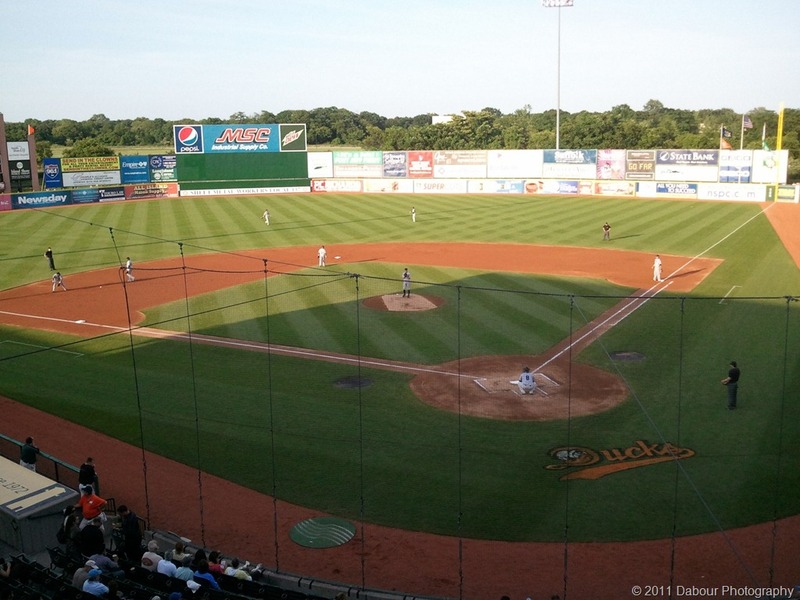 Unfortunately the Ducks couldn’t pull a win at the bottom of the 9th and last to the Camden River Sharks 2-1.